We all need to “see the light.” One way that happens is when others act as shining lights of Christ for us. And one way that others around us “see the light” is when we are shining examples of the light of Christ for them. This passage reveals our duty to be the light of Christ to a world in need. It is clear from this passage that when we enkindle the flame of Christ in our hearts, the effect is that Christ shines forth through us for others to see. 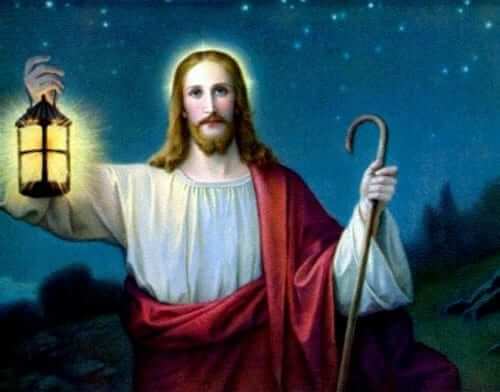 Jesus says that “No one who lights a lamp conceals it…” In other words, if you are not shining with the light of Christ, it’s not because you are hiding Him, it’s because He is not burning in your soul. When He is burning in your soul, the light cannot be contained. This basic truth is a great source of discernment for us in regard to our relationship with Christ. Basically, if Jesus is alive in our lives, if we are living a true relationship of love with Him, then we will be able to see the effect in the lives of those around us. We will be able to see that light shining forth on others. The effect of Christ shining through us will be like a mirror to our own souls. Reflect, today, upon those around you and ponder the question of what effect your love of Christ has on their lives. Do you see others being drawn into a love of Christ through you? If not, look within your own heart and seek to rekindle the fire of God’s love. Lord, come burn within me, setting my heart on fire with Your love. I desire that my heart becomes a blazing fire through which many are drawn to You. Use me, dear Lord, as You will. Jesus, I trust in You.